1. Make a batter of the floor, the egg, sugar, salt, the milk and mineral water. 2. 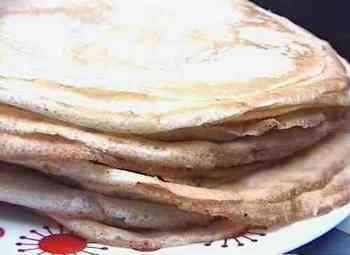 This is enough for 20 pancakes, care must therefore be taken to make them thin enought. The frying pan must be neither too hot, nor too cool.